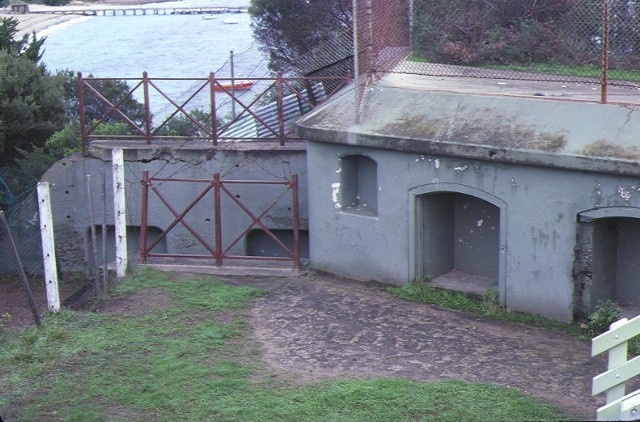 The Former Fort Franklin (Portsea Camp) consists of a series of gun emplacements, associated barracks and parade ground, commandant's house and timber staff cottage as well as underground bunkers and observation posts dating from c.1940. 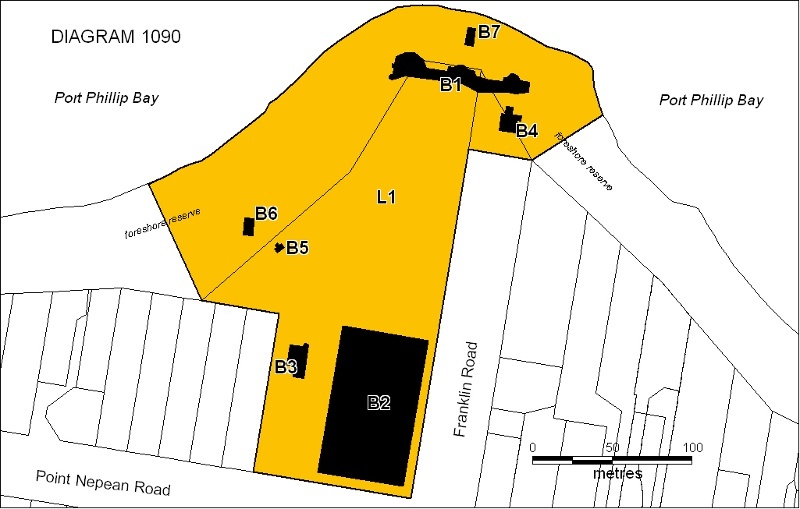 Buildings associated with the later use of the site by the Lord Mayor's Children's Camp from 1946/47 to 1995 are also on the site. The fort was operated by the Victorian colonial government until Federation when it was taken over by the Commonwealth. From 1946, the site was leased from the army and then the Department of the Interior before being purchased by the Lord Mayor?s Children?s Camp Fund in 1964.The children's camp is now known as the Portsea Camp. The fort was sited on land formerly occupied in the 1850s by the Watson family who came to Australia from Scotland in 1856. 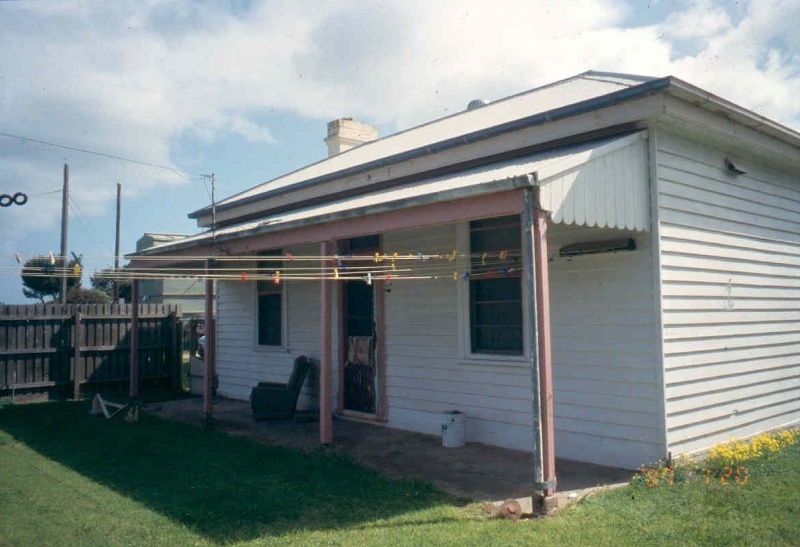 John Watson occupied an area of land which now forms part of the Portsea Camp and built a six room limestone house there, as well as a hut on the foreshore. The limestone house now known as the Commandant's house may date from the Watson period, that is, prior to 1885. The land on which the fort stands was compulsorily acquired in 1885 from John Watson by the Victorian government at a cost of £1500. The fort was constructed between 1885 and 1889 as part of the system of fortifications of Port Phillip Bay to protect Melbourne against invasion by Russian raiders. The outer defences in Port Phillip Bay consisted of forts at Queenscliff, and Point Nepean (Crow?s Nest, Nepean and Eagle's Nest). A fort was required at Portsea to form part of the inner defences, together with South Channel Fort and Swan Island. In 1887 the form of the emplacements can be seen in a contemporary illustration. In 1887 the armament at the Fort consisted of three 80-pound muzzle-loading guns, but it was by then decided to substitute three breech loading guns on the disappearing principle. In 1892, Fort Franklin contained two 5 inch 3 ton guns, one 10 inch 25 ton gun, one 4.724 inch Quick Firing gun for sea defence and one 5 barrel Nordenfeldt field gun in case of land attack. (Michael Kitson) The task of Fort Franklin was to guard the South Channel, preventing enemy shipping using the South Channel and to provide a site for examination anchorage, where suspicious ships were ordered to drop anchor and be searched while under the surveillance of gunners. 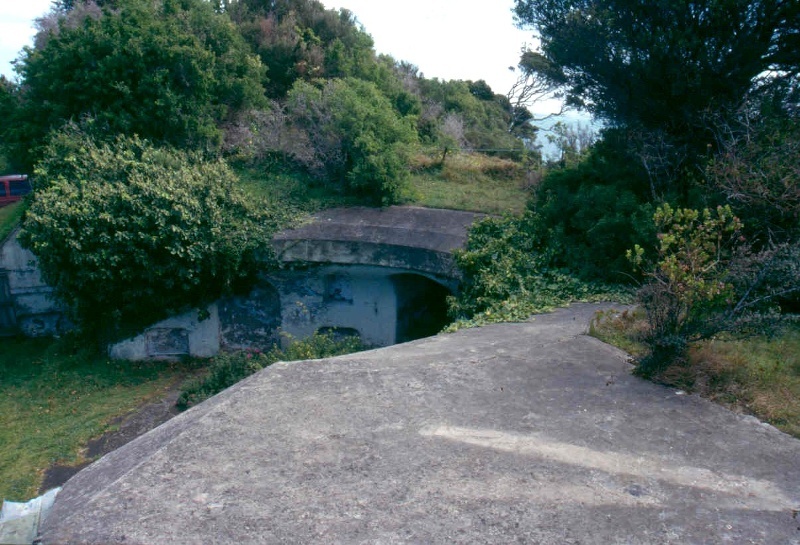 The gun emplacements at Fort Franklin have been altered, for example the tunnels of the gun emplacement have been bricked up for safety reasons. Some of the joinery around the storage recesses and other details remain. Some evidence of original signage remains. The form of the three gun emplacements is intact and the mounds demonstrate the way the guns were mounted. The barracks building was probably constructed c.1885-89. The barracks, house and staff cottage have lost some detailing and require refurbishment, but the essential form of the buildings and much of the internal arrangement and fabric survives. The staff cottage was on its present site by 1887. The fortifications at Fort Franklin represent part of an integrated coastal defence system dating from the late nineteenth century and demonstrate contemporary developments in military architecture and engineering, particularly to cater for the disappearing gun. A small hospital ward was built, probably at the time of the construction of the barracks and it is believed that five soldiers who had returned from the Boer War died there in August 1902. The hospital building of that period is no longer extant and may have been replaced by the present medical centre. 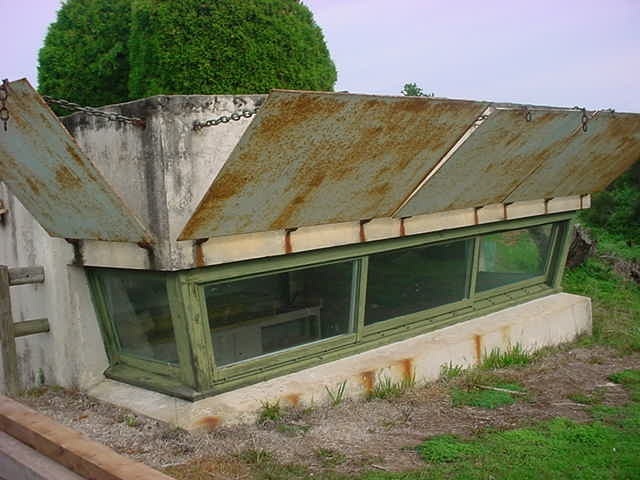 Later military use during World War II necessitated the construction of underground bunkers and observation posts. The site was used as an ammunition dump by the United States Army during World War II. One of the bunkers is believed to be an underground munitions store. Another partly underground structure to the west of the site was an observation post. The forward searchlight emplacement on the cliff beyond the gun emplacement was also constructed for use during World War II. The camp was also used as a migrant camp for a short time in the immediate post-World War II period. The buildings which date from the Lord Mayor's Children's Camp include dormitories, staff quarters, and medical centre. In the 1970s the medical centre was a seven-bed hospital staffed by the Alfred Hospital. The original idea for the camp was to provide seaside holidays to underprivileged children from remote areas. The first groups of children came from the Mallee. Health checks and medical and dental treatment for the children were for many years an integral part of the camp, but this became less necessary in the 1960s when better health care became available. The barrack building in particular demonstrates changing patterns of occupancy from use by the army to use by the Lord Mayor's Children's Camp. There has been a long association between the community and the children's camp occupation of the site, in particular, involvement by medical and allied professionals, members of the fire, police and surf lifesaving services and other volunteers, who have been involved in the camp since the 1940s. The community holds strong shared memories of experiences and social life, which have created a strong connection to the place. The Former Fort Franklin (Portsea Camp) is of, architectural, historical, scientific and social significance to the State of Victoria. 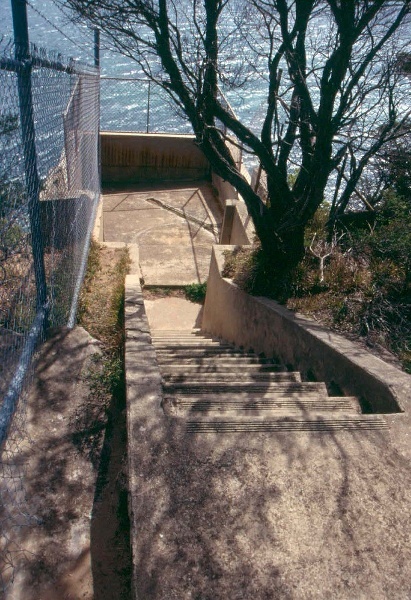 The Former Fort Franklin (Portsea Camp) is historically important as part of the extensive system of fortifications set up in the 1880s to defend Victoria against possible attack by Russian raiders. Changes to the fort in World War II are also of historical significance, as are changes reflecting the later use of the site as a camp for underprivileged children. 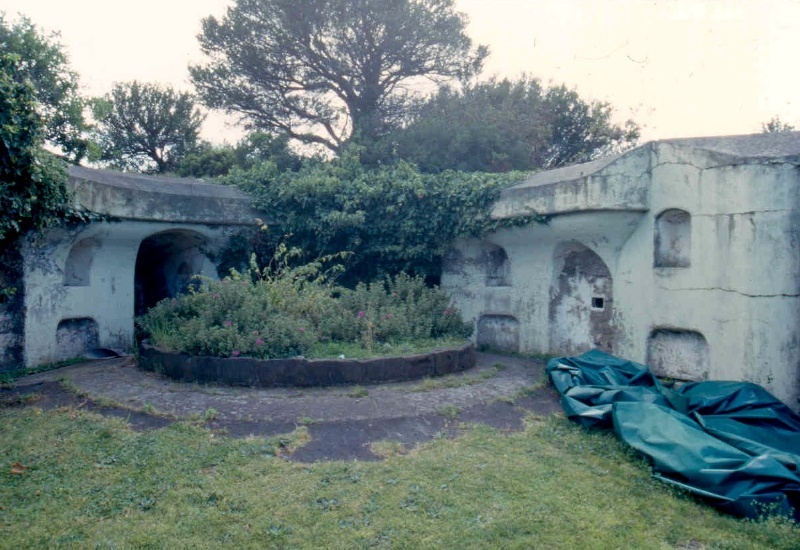 The Former Fort Franklin (Portsea Camp) is of scientific significance in demonstrating technical advances in gunnery and defence construction in the late nineteenth century, particularly to cater for the newly invented disappearing gun. The Former Fort Franklin (Portsea Camp) is of social significance for its association with the Lord Mayor's Children?s Camp from the 1940s to 1995, and with the similar activities carried on by the Portsea Camp, in the provision of holidays and health care for disadvantaged children with strong community involvement by volunteers. 2. All the land marked L1 as follows on Diagram 1090 held by the Executive Director, being the land described in Certificate of Title, Vol. 4328, Folio 593 and part of the foreshore reserve and part of the Franklin Road reserve. 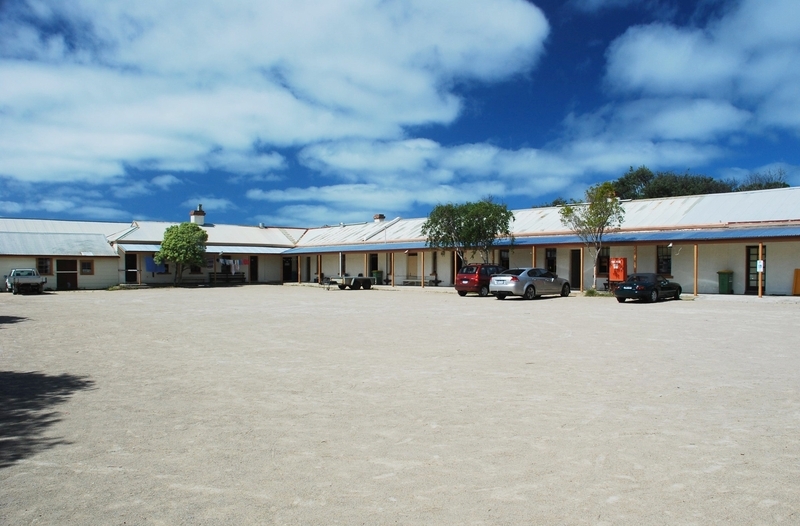 The Former Fort Franklin (Portsea Camp) consists of a series of gun emplacements, associated barracks and parade ground, commandant’s house and timber staff cottage as well as underground bunkers and observation posts dating from c.1940. Buildings associated with the later use of the site by the Lord Mayor’s Children’s Camp from 1946/47 to 1995 are also on the site. The fort was operated by the Victorian colonial government until Federation when it was taken over by the Commonwealth. 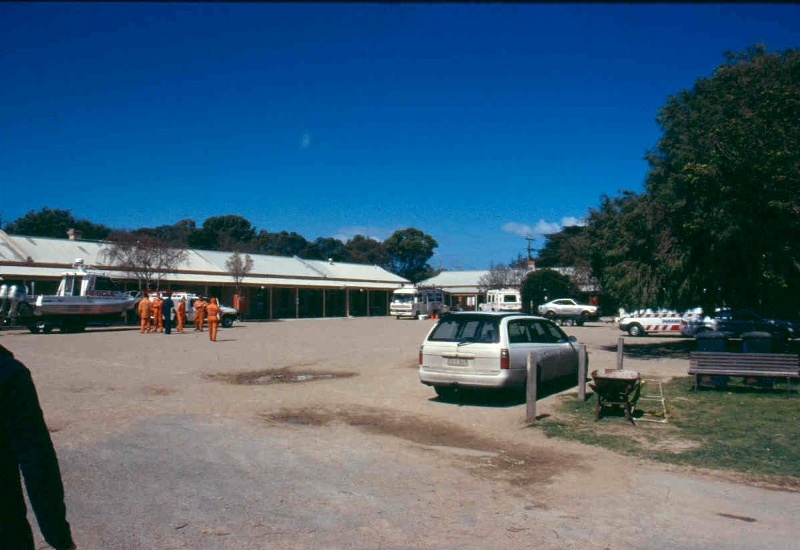 From 1946, the site was leased from the army and then the Department of the Interior before being purchased by the Lord Mayor’s Children’s Camp Fund in 1964.The children’s camp is now known as the Portsea Camp. The fort was sited on land formerly occupied in the 1850s by the Watson family who came to Australia from Scotland in 1856. 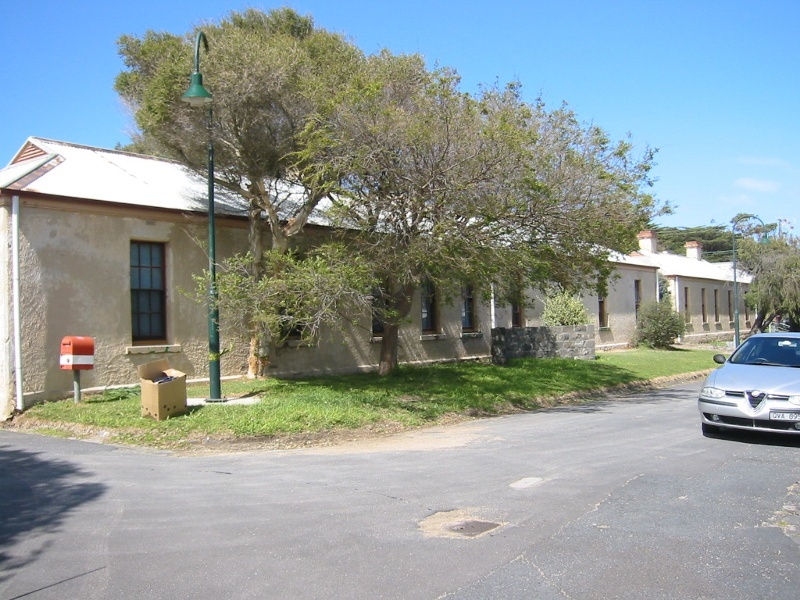 John Watson occupied an area of land which now forms part of the Portsea Camp and built a six room limestone house there, as well as a hut on the foreshore. The limestone house now known as the Commandant’s house may date from the Watson period, that is, prior to 1885. The land on which the fort stands was compulsorily acquired in 1885 from John Watson by the Victorian government at a cost of £1500. The fort was constructed between 1885 and 1889 as part of the system of fortifications of Port Phillip Bay to protect Melbourne against invasion by Russian raiders. The outer defences in Port Phillip Bay consisted of forts at Queenscliff, and Point Nepean (Crow’s Nest, Nepean and Eagle’s Nest). A fort was required at Portsea to form part of the inner defences, together with South Channel Fort and Swan Island. In 1887 the form of the emplacements can be seen in a contemporary illustration. (Illustrated Australian News 2 April 1887) In 1887 the armament at the Fort consisted of three 80-pound muzzle-loading guns, but it was by then decided to substitute three breech loading guns on the disappearing principle. In 1892, Fort Franklin contained two 5 inch 3 ton guns, one 10 inch 25 ton gun, one 4.724 inch Quick Firing gun for sea defence and one 5 barrel Nordenfeldt field gun in case of land attack. (Michael Kitson) The task of Fort Franklin was to guard the South Channel, preventing enemy shipping using the South Channel and to provide a site for examination anchorage, where ‘suspicious’ ships were ordered to drop anchor and be searched while under the surveillance of gunners. 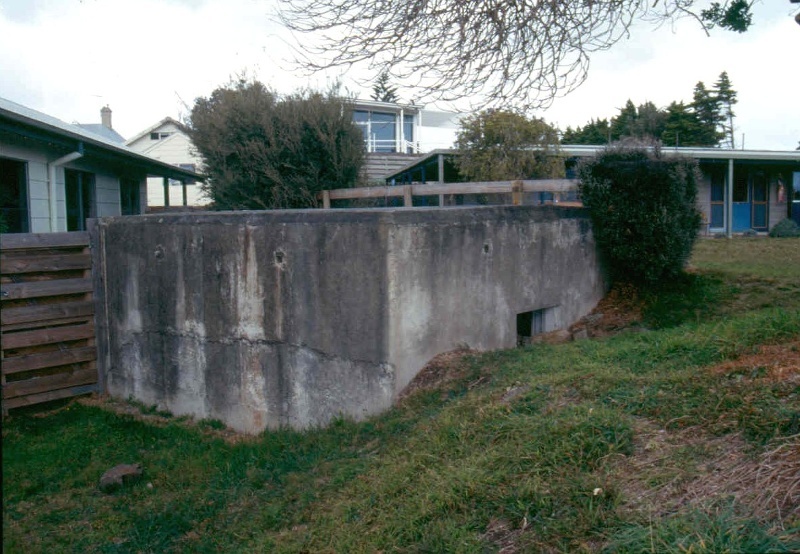 The fortifications at Fort Franklin represent part of an integrated coastal defence system dating from the late nineteenth century and demonstrate contemporary developments in military architecture and engineering, particularly to cater for the ‘disappearing gun’. A small hospital ward was built, probably at the time of the construction of the barracks and it is believed that five soldiers who had returned from the Boer War died there in August 1902. 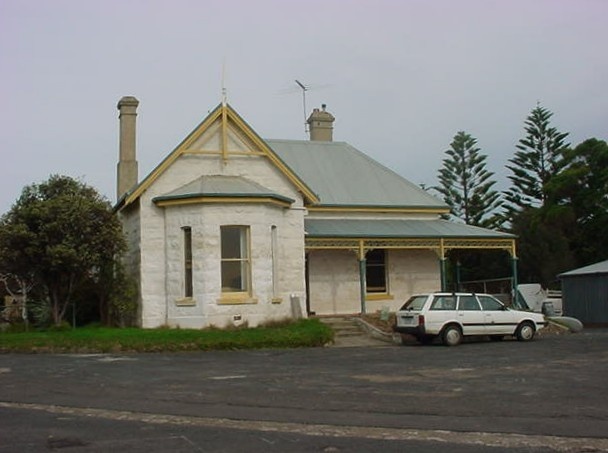 (Shire of Flinders Study, Moorhead p. 36) The hospital building of that period is no longer extant and may have been replaced by the present medical centre. The buildings which date from the Lord Mayor’s Children’s Camp include dormitories, staff quarters, and medical centre. In the 1970s the medical centre was a seven-bed hospital staffed by the Alfred Hospital. The original idea for the camp was to provide seaside holidays to underprivileged children from remote areas. The first groups of children came from the Mallee. Health checks and medical and dental treatment for the children were for many years an integral part of the camp, but this became less necessary in the 1960s when better health care became available. The barrack building in particular demonstrates changing patterns of occupancy from use by the army to use by the Lord Mayor's Children's Camp. There has been a long association between the community and the children’s camp occupation of the site, in particular, involvement by medical and allied professionals, members of the fire, police and surf lifesaving services and other volunteers, who have been involved in the camp since the 1940s. The community holds strong shared memories of experiences and social life, which have created a strong connection to the place. All internal painting works of previously painted surfaces in the former barracks buildings B-2, not including the ceiling boards which are currently stained. Preparation work for painting shall not remove evidence of the building’s original paint schemes. No permit is required for any works, other than major external works or demolition, to buildings not specifically listed in the extent of registration. equipment for parks, schools and domestic use AS 1924; Playground installation and maintenance of equipment AS 2155 and Playground surfacing- Specifications, requirements and test method AS 4422. It is recommended that a conservation management plan be prepared for the site. Further research is required to establish the history of the site and its potential archaeological significance, particularly during the defence period. Fort Franklin should not be viewed as an isolated military site. The interrelated military installations at Point Nepean, Queenscliff, Swan Island, South Channel Fort and Fort Franklin should be regarded as a whole and are individually and collectively of State significance. The significance of the place is not confined to its military installations. The former Lord Mayor’s Children’s Camp (Portsea Camp) is also of State significance. A more detailed set of permit exemptions could follow the preparation of a conservation management plan for all of the Camp land. A conservation management plan should be prepared as a matter of priority, addressing all eras of the place’s history, including its use as a children’s camp . In the interim no demolitions or major works should be undertaken without a permit other than works specifically exempted.